A paediatric surgeon is a trained surgeon specializing in the diagnosis and operative of surgical problems in children. Dr. Beatrice Wong is a registered Specialist in Paediatric Surgery under the Hong Kong Medical Council. 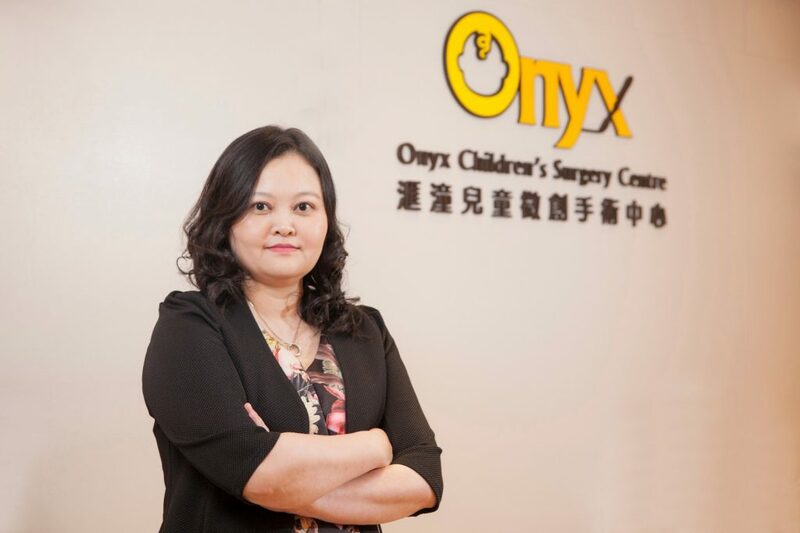 Dr Wong is now practicing mostly in ONYX Children’s Surgery Centre (ONYX). Dr. Wong graduated from medical school of the Chinese University of Hong Kong in 2000 and started the basic surgical training in United Christian Hospital (UCH) after her graduation. She had been rotated to many different surgical subspecialties. During the Severe Acute Respiratory Syndrome (SARS) period in 2003, she worked full-time in Accident & Emergency Department of United Christian Hospital for 6 months and took part in screening & initial management of many unfortunate SARS patients including those from Amoy Garden. Dr. Wong pursued paediatric surgery training since 2004 & worked in many local & regional institutions. She was certified to be a specialist in paediatric surgery in year 2008. She attended overseas training in Chang Gung Craniofacial Centre and was one of the founding members and subsequently associate consultant of the Cleft Lip & Palate Centre in United Christian Hospital before she started private practice in year 2011. Along with proper training and board certification, Dr. Wong has keen interest in and concern for the needs of children and newborns. She is competent in performing many minimally invasive paediatric surgeries apart from plastic surgeries in children, and has an aptitude for precision in treatment. How to consult ONYX Specialists? If you or your child has never been under any care in ONYX, you may request a referral from your family doctor/ general practitioner or contact us directly for any enquiries.